Dragons once thrived on the plane of Tarkir. They spawned from mighty elemental storms, filled the sky with their destructive breath, and terrorized the five ancient warrior clans. But the dragons met their fate long ago. For many years, the clans fought a war against the dragons for their own survival, hoping for some way to gain an advantage in the struggle. At a crucial turning point over a thousand years ago, the dragon tempests stopped coming, and no new dragons were spawned. Their numbers thinned, and the tide of the war changed. Ultimately, the warriors of the clans were able to hunt down the last of the sky-beasts and destroy them. Dragons were rendered extinct on the plane, never to return. In the centuries that followed, the five warrior clans claimed dominion over Tarkir, growing and evolving into today's powerful clans. Anafenza, known as the Foremost, directs battle from the front lines atop a heavy chariot pulled by her two prized ibex. She wages war not to conquer, but to maintain the trade routes that allow her clan to function, and to protect her people and her land. A martial arts master, scholar, and mystic, Narset has cultivated mental discipline and can accomplish astonishing physical feats. Narset is vigilant about her people's safety. Some say that she possesses a secret potential inside her, a power or calling that will drive her to a greater purpose. Haughty, cruel, and crafty, the naga Sidisi seized power using inherited wealth and dark magic. She wishes to reunite the clans of Tarkir into a new empire under herself. She often slaughters those who oppose her, but what little she cannot achieve through force she hopes to gain through trickery. Zurgo Helmsmasher, a huge orc, rules from a throne made from the skull of an ancient dragon. He commands the Mardu raiding parties, exploiting his clan's speed to catch enemies unprepared. Zurgo survived the battle when Sarkhan Vol's Planeswalker spark ignited, causing the deaths of many Mardu, and has sworn vengeance against Sarkhan. Surrak holds the title of Dragonclaw, which he earned in ritual combat against an enormous cave bear. He towers over his people in strength and stature. Surrak is concerned only with the survival of his people. He rarely speaks, but when he does, he is pragmatic and harsh. Abzan society is built around family bonds to survive their harsh desert environment. The Abzan revere their ancestors but also adopt orphans of war from other clans. The scale of the dragon is their symbol: one part among many that forms an impenetrable defense. The clan's center is the fortress-city of Arashin. The Jeskai are martial artists, mystics, and wandering warriors. They revere cunning and strategy in combat, taking the dragon's eye as their symbol. Isolated mountain strongholds form the basis of Jeskai culture, each with its own mystical styles and schools of thought. Sage-Eye Stronghold is foremost among these. The decadent Sultai are founded on wealth, cruelty, and an ever-growing undead army. The clan's naga rulers made pacts with rakshasa demons to secure their elite status. The fang of the dragon is the Sultai's symbol, embodying ruthlessness. The khan rules from Kheru Temple, deep in the jungle. 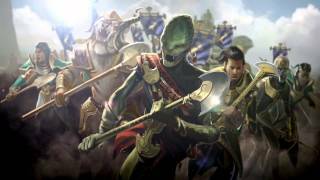 The Mardu are feared warriors who live for the heat of battle. Thundering waves of humans, orcs, ogres, and goblins constantly raid other clans, but never hold territory for long. Their swiftness is symbolized by the wing of the dragon. The clan's main encampment is at the cliffs where an ancient dragon died. Muscular and savage, orcs are well suited to Tarkir's harsh environment. The Mardu clan includes many orc warriors—including its khan. Orcs also share the wild lands of the Temur. The Abzan sometimes adopt orphaned orcs into the clan as "krumar," who are among its most dedicated defenders. 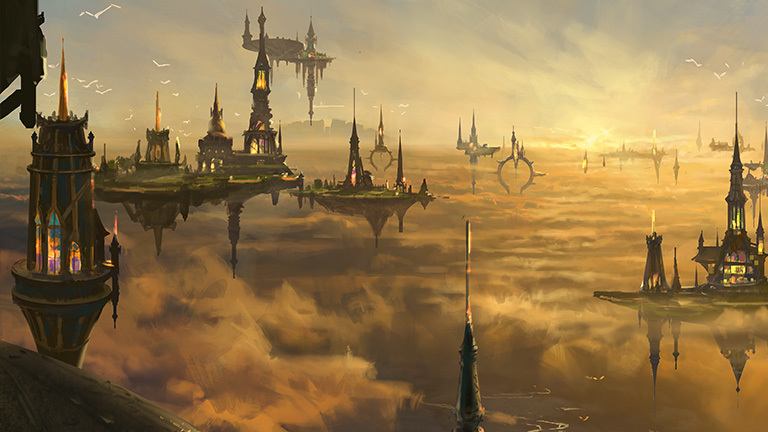 Djinn inhabit the highest parts of Tarkir, especially the mountains where the Jeskai have their strongholds. With their inherent ability to fly, combined with superior athletic skill, djinn are masters of martial and mystical styles. They often serve as teachers to the Jeskai. These beings of elemental fire hail from remote mountains called Qadat, the Fire Rim. A few of them make the pilgrimage to Jeskai territory to master the technique known as bloodfire. Such efreet become outcasts from their own kind but are exceptional warriors in their adopted clan. The snakelike naga are descended from ancient Sultai leaders who made dark deals with rakshasa. Naga are expert at magic that warps both mind and body. Many, including the khan, Sidisi, are necromancers. They are infamous for their cruelty, seeing others only as fodder for their ever-growing army of zombies. The cat-shaped demons known as rakshasa are brokers in forbidden knowledge. Long ago they sealed contracts with the leaders of the Sultai, gaining power over and warping the clan in exchange for necromantic secrets. Rakshasa wield horrifying death magic that can slaughter entire armies. Aven are numerous in Tarkir's skies. Their keen eyes and tireless wings make them ideal scouts for the Abzan and Jeskai clans. Among the Sultai, and to a lesser extent the Abzan, vulture-aven scavenge the dead. Aven shamans guide Temur humans in the clan's elemental whispering. Tarkir is home to two lineages of the canine humanoids called ainok. Those of the desert wastes resemble hyenas and are masters of survival and camouflage; they often are adopted into the Abzan. The bearlike ainok of the Qal Sisma mountains live and work among Temur humans.